Younger brother of Dominique Peccatte, François Peccatte began his apprenticeship near Mirecourt but left to join his brother in Paris sometime around 1840. Dominique was a formative influence on his brother's work, which features square, strong heads and is of good quality. The brothers collaborated on certain bows, especially ...Read More after François returned to Mirecourt in 1842, where Dominique followed in 1847. Bows produced by joint effort often bear the brand of one brother while being more in the style of the other. 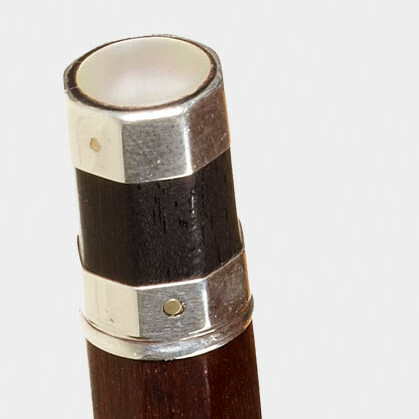 - The auction record for this maker is $66,000 in Nov 2012, for a violin bow. - 108 auction price results.